Description Build custom robots in your browser with IncrediBots!\r\n\r\nDesign your robot by drawing shapes, joints, motors, and more! Then, pilot your machine using your own custom key bindings. How will your robot fare in the hurdles challenge? Or archery? Or off-road?\r\n\r\nAnd if you\'re not the competitive type, you can record custom movies using \"Sandbox Mode\" to share with the world. Use the editor to tell animated stories, create Rube Goldberg machines, or just experiment and have fun with physics! 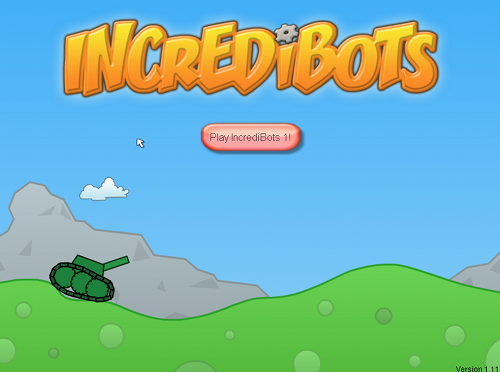 The sky\'s the limit with IncrediBots! Legendary game. First of It's kind as far as I know. Excellent physics simulation puzzle.